← Are You There God? It’s me, Sloane. Growing up in the south exposed me to tornadoes– and the danger, wonder, panic, reverence, and fear that accompanies them. Though Tennessee is not considered a part of Tornado Alley, I expect our family to huddle in the downstairs bathroom at least once a year as the sirens are blaring. As I type this we’re under warnings for both severe thunderstorms and flash floods. 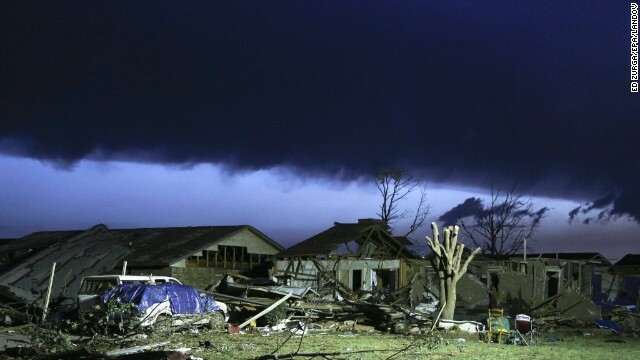 Hearing of the utter devastation in Moore, Oklahoma breaks my heart. Text ‘redcross’ to 90999 to donate $10 to relief efforts through the Red Cross….please help if you are able. I ask you all to send thoughts and prayers to Oklahoma. Let those affected find comfort and healing as they rebuild, literally and figuratively. These before and after photos take my breath. If you find yourself faced with a tornado warning TAKE SHELTER. Identify the safe room in your home– a space towards the center in the basement or lowest level of your house, avoid windows and doors, and place as many doorways as possible between your safe r00m and the outdoors. Know the safest places to be wherever you are. Create a disaster kit and a family emergency plan. Perform a yearly drill. You can never be too prepared. This entry was posted in USA and tagged Disaster, Emergency, Moore, Oklahoma, Severe Weather, Tornado Alley, Tornadoes, Weather. Bookmark the permalink.